When your pet has a medical problem, we have the most advanced diagnostic equipment in-house allowing our veterinarians to diagnose your pet when they are sick or acting “not quite right”. We are serious about early detection of disease to ensure the best health of your pet. The use of our diagnostic equipment allows our expert veterinary team to gain a more complete picture of your pet’s overall health and of the specific medical problem he/she might be experiencing. 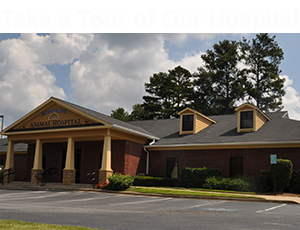 Ultrasound services utilize equipment that enables our veterinarians to look at your pet’s organs, such as the liver, kidneys, heart or spleen, from many different angles and in real-time. It is a painless, non-invasive and safe tool and generally does not require your pet to be sedated. Organs can actually be seen as they are functioning, a key non-surgical advantage. Digital x-rays are faster than traditional x-rays because no processing of film is necessary. Images are available for immediate interpretation by the veterinarian. Increased image resolution, and the ability to manipulate images for better diagnostic usage.